Elizabeth Ruck was shortlisted for the Student Nurse of the Year: Children at the recent Student Nursing Times Awards. The third-year nursing student already has experience caring for children in India and Ghana as well as Finland where she recently spent a seven month placement, receiving outstanding feedback from her mentors and colleagues. Speaking about her nomination Elizabeth said: “The last three years have been incredible, especially the opportunity to work abroad and experience the fantastic care of nurses and other medical staff all around the world. “The support I have received cannot be faulted and it really has given me the best opportunities to achieve my very best. I am honoured to be a finalist for such fantastic awards that celebrate all the wonderful parts of nursing. “I really could not have done it without my ever supportive lecturers, personal tutor and programme leaders, from day one they have inspired me and pushed me in the best possible directions that are so well suited to me. I am so very proud of my peers and hope their experiences have been just as fantastic as mine." Before starting at Middlesex Elizabeth went to Mumbai in India to nurse children and after her first year of study knew that she had chosen the right vocation and was keen to take it further. Inspired to make a difference with her new knowledge, she decided to travel to Ghana to volunteer at a community hospital – a situation that was very different to what she was used to. Elizabeth has been awarded a certificate of clinical excellence in practice and has shared her experiences with her peers on a professional development day. Dee Anderson, Senior Lecturer BSc Hons Nursing-Child Field at Middlesex University, said: “This is a fantastic achievement and we are all delighted in the child health teaching team. “Since day one she has been a positive and committed student always exhibiting a passion for nursing and specifically committed to child and young person nursing. She is an exemplary and supportive role model to her peers and has always excelled within practice. 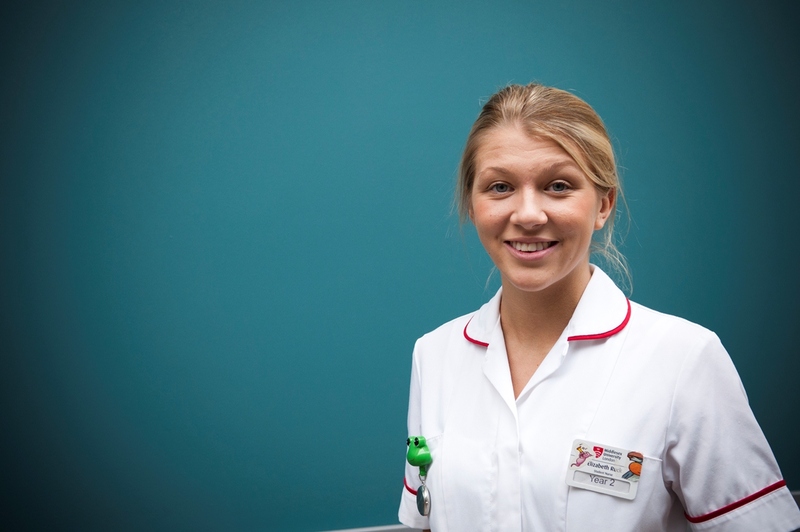 “Elizabeth chose to study on the BSc European Nursing (Child) which is a unique programme. It required her to spend six months in a European country studying and undertaking placements under the Erasmus scheme. The BSc Nursing (Child) course at Middlesex University is developed in partnership with NHS Trusts and 50 per cent of study time is spent on placement in our partner hospitals, which include many of London's most prestigious paediatric units. Through learning essential nursing skills and techniques, supported by state-of-the-art facilities, the course prepares students for a hugely rewarding career, caring for young people from birth to 16 in a variety of healthcare settings.